Tons of bugs and UI issues are addressed in Divinity: Original Sin 2’s first major patch. 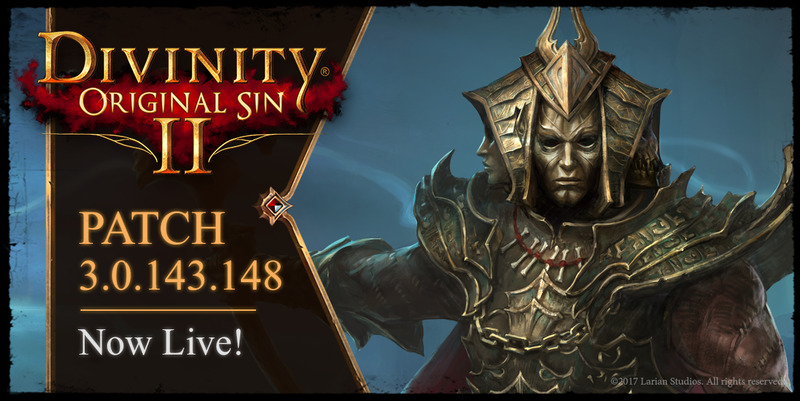 The first patch for Divinity: Original Sin 2 is now available, fixing various bugs and quest issues that have been irking players for the past week. The patch will work with existing game saves, so be sure to update your game before diving into your next adventure. Larian Studios has posted a Steam announcement that details the extensive list of bug fixes, quest changes, and improvements included in the first major patch for Divinity: Original Sin 2. A second patch was released several hours later that added enhanced translations for German, French and Russian. Despite a few hiccups at launch, Divinity: Original Sin 2 has received very positive reviews on Steam and has sold over 500,000 copies in its first week out of Early Access. We’re really enjoying the game so far, and it’s a perfect fit for anyone who has a penchant for RPGs or D&D-style games. Check out our Divinity: Original Sin 2 guides for helpful tips and advice.